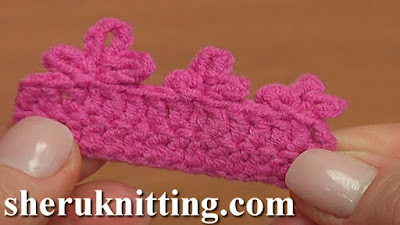 Crochet triple picots or crochet triple picot stitch border are clover-shaped stitches that are perfect for edging scarves, shawls, and blankets. They look complex but are actually very simple. In the video, we show you 3 examples of such triple picot.